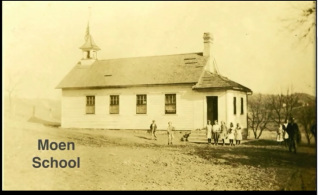 Notes: Sometime during the 1870s and 1880s Moen School in the southwest corner of Blue Mounds Township was formed with close ties to the historic Perry Norwegian settlement. 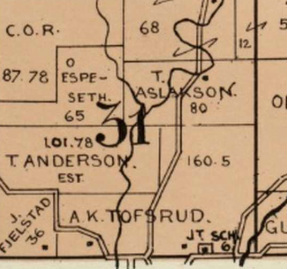 The school was in the Iowa/Dane County border area and the lines were redrawn several times when the Barber and Clay Springs Schools in Iowa County redrew their boundaries. The Moen School closed in the 1950s with most of the remaining students being sent to the larger Daleyville School. 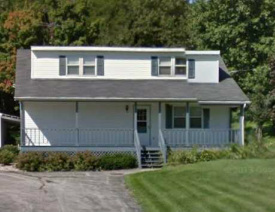 This school is not shown on the 1873 plat map but is on the 1890 map.